Having trouble with the heat in your vehicle? That can make for some uncomfortable drives, especially in the harsh New England winter months. If you’re experiencing this problem, or problems with your vehicle’s air conditioning, it might be time to have your Nissan climate control system checked out. When that’s the case, there’s no place better for a car heating and air conditioning service than here at Speedcraft Nissan near Providence, RI. 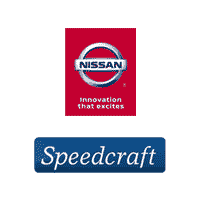 Here at Speedcraft Nissan, you’ll receive excellent service from our knowledgeable, Nissan Certified, staff. They’ll get your vehicle back on the road in no time. Most drivers won’t be able to identify exactly what’s wrong with their air system other than it not blowing out the right temperature. That’s where our Nissan trained staff comes in. Our service team will be happy to take a look at your vehicle and help find the source of its problem. Another sign of problems with your climate control system that you may notice a strange odor coming from your air vents. This could be caused by a number of things including gas leaks and mold. If you’re experiencing these symptoms, be sure to schedule an appointment with us to have it checked out.